An award-winning floral artist and sculptor, Shoso has over 30 years experience as an Ikebana practitioner in the Sogetsu school. After Ikebana demonstrations in Japan, Germany and Romania, he brings together his sculptural skills and knowledge of floral design to create an installation in real time. Recognised for their ‘uncommon originality and authority’ (The NY Times), The Grigoryan Brothers will select a program specially for this event from their broad repertoire embracing genres such as classic, jazz and contemporary music. 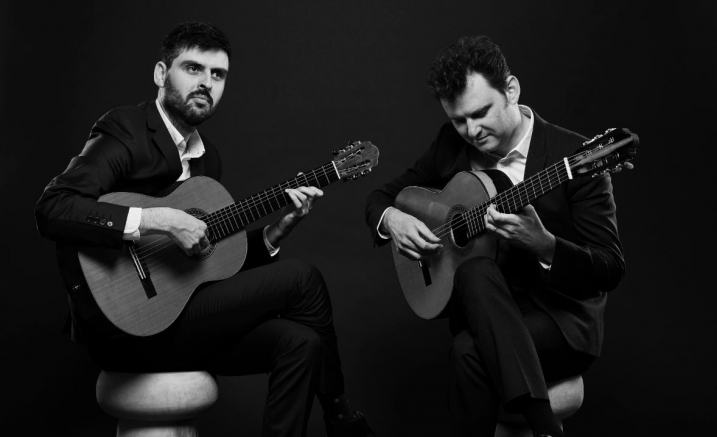 Watch the skill of the Grigoryan Brothers as they play and witness Shoso’s final work emerge as he brings the elements together throughout the performance — all in the intimate surrounds of the Primrose Potter Salon.